Test Happens - Teledyne LeCroy Blog: Are You Ready for Bluetooth 5? In June, the group announced "significantly increased range, speed, and broadcast messaging capacity" as leading features of the new release. Let's look at the information that's been divulged so far on these features. First, the new version will offer quadruple the range of low-energy connections, enabling links to IoT devices extending far beyond the walls of a typical home. A laundry list of applications benefiting from the range boost include medical devices, ePOS terminals, automotive diagnostic equipment, barcode scanners, and any applications over water (which rapidly attenuates RF signals). Not only will range improve, but Bluetooth 5 will double the speed of low-energy links. It will be more responsive and more capable of keeping pace with large data transmissions. This will result in improvements in wearables, human interface devices, and inventory-tracking systems. Potentially, audio over Bluetooth links will improve as well. support for beacons and location-based services in the home automation, enterprise, and industrial markets, this new capability will give end users a much better user experience. They'll be better able to interact with exhibits or displays as they move through a store or museum, for example. Greater messaging capacity will benefit such applications as airport navigation, inventory asset tracking, emergency response, and smart city infrastructure, including services to increase mobility for the visually impaired. Few Bluetooth protocol analyzers on the market today are ready for Bluetooth 5 and, in particular, Bluetooth low energy. 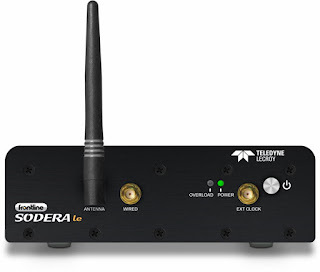 One example of a Bluetooth 5-ready analyzer is the Frontline Sodera le (low energy), which captures data concurrently from multiple Bluetooth low-energy sources (Figure 1). Such capability is critical for successful debugging of IoT interoperability. The device aids in detection of insufficient throughput, power consumption issues, timing bugs, and proper management of 802.11 traffic.